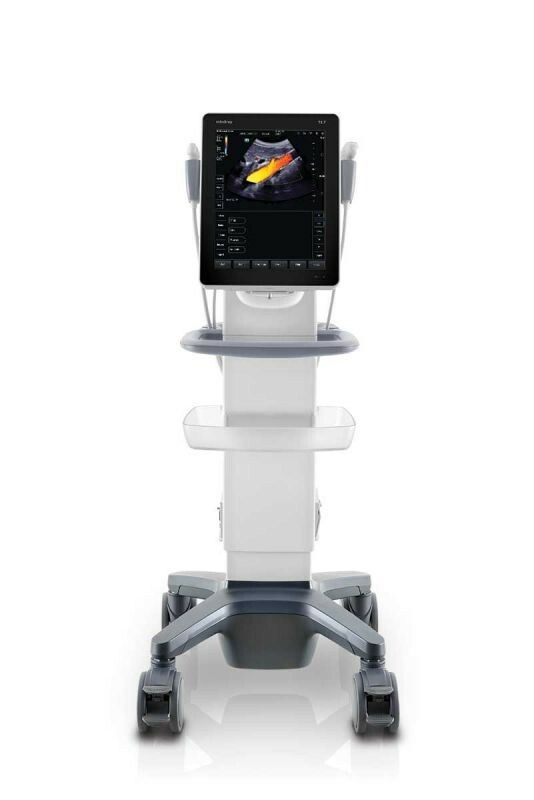 For superior image quality enabling rapid, confident decisions, National Ultrasound, the North American Distributor for Mindray, presents the Mindray TE7 Ultrasound Machine. 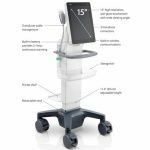 Intuitive gesture controls and efficient, focused point-of-care exams minimize the user learning curve, with no need to navigate a knob cluttered keyboard. 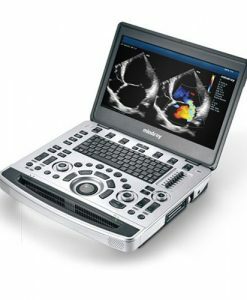 Improved diagnostic confidence and efficiency comes from touch-enabled response, targeted application presets, and one-touch image optimization. 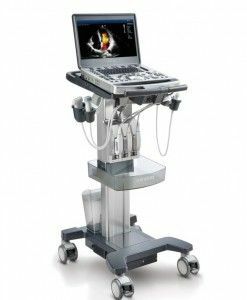 Its unique retractable power cable and built-in battery makes TE7 always ready for the point-of-care ultrasound environment. 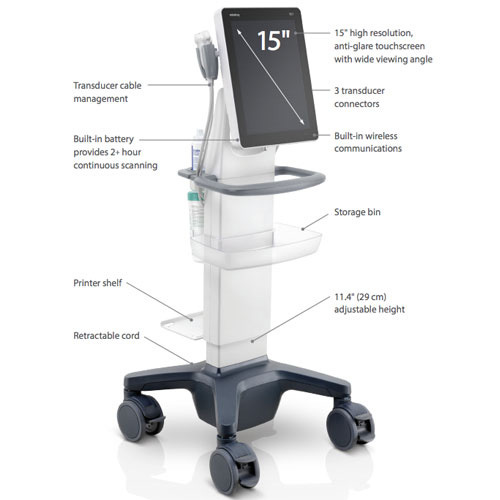 And with its fast boot-up time, the TE7 supports rapid and confident evaluation of medical conditions at bedside. 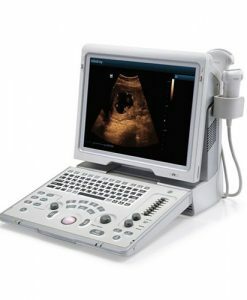 Ready to find out if the Mindray TE7 Ultrasound Machine is right for you and your budget? 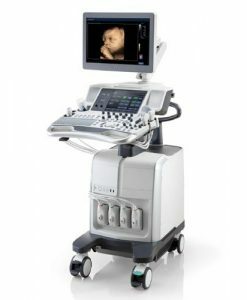 Let our expert National Ultrasound staff help advise you. Complete the quick quote form below to start a conversation. 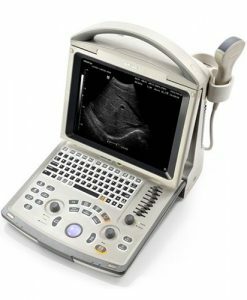 The Mindray TE7 Ultrasound Machine is a touchscreen – portable ultrasound machine. This system was designed with user experience in mind. 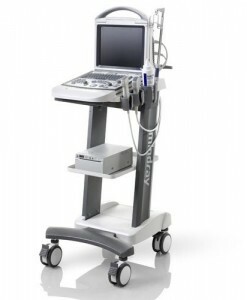 The sleek design is user intuitive and features the latest technologies. This system now includes a 5 year warranty. 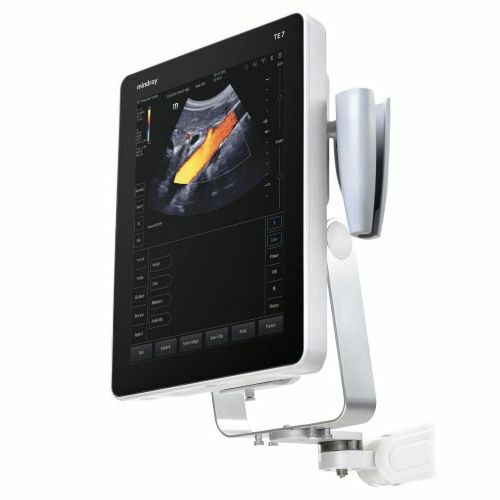 This is the only touchscreen ultrasound machine currently made by Mindray for the United States market. 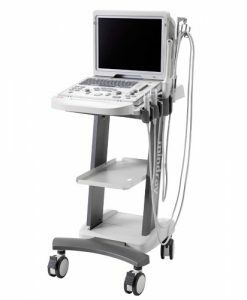 For comparable systems in other designs, view the M7 or M9 ultrasounds.